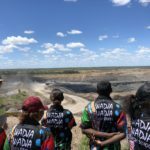 Biloela and Moura students were given the opportunity today to try a trade or peruse a profession with the help from Anglo American’s Dawson mine team. 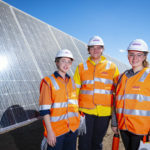 About 50 students took part in the STEM for Schoolkids and Toolkit for Schoolkids day run by the Queensland Minerals and Energy Academy (QMEA). Students interested in professional pathways explored aspects of geology including core sampling and data analysis, chemical processing and process engineering, mine management and entrepreneurial skills. Meanwhile, students focussed on trades experienced hand skills, electrical circuitry and disassembly of components. “Our employees really enjoy these days and find it rewarding to help students onto pathways to exciting professional or trade careers,” said Clarence Robertson, General Manager of Anglo American’s Dawson Mine. “The QMEA is a great investment to help ensure we have the skilled people we need for an increasingly technologically advanced industry,” he said. Susan Wayne, Biloela State High School Deputy Principal said it was important for students to have access to first-hand experiences of future career paths so that they can make informed decisions and select appropriate subjects for senior school. “We very much value the partnership with Anglo American made possible by being a QMEA school,” she said.